There is little published data about human plant exposures reported to US poison control centers (PCCs). 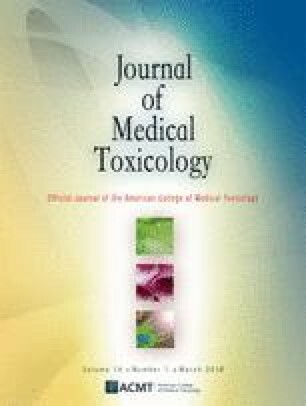 A retrospective chart review of all reported plant exposures to a single regional PCC between January 1, 2003 and December 31, 2010 was done to understand better the characteristics of plant exposure cases. Specific generic plant codes were used to identify cases. Recorded variables included patient demographics, plant involved, exposure variables, symptoms, management site, treatments, and outcome. Univariate and multivariate regression was used to identify outcome predictors. A total of 6492 charts met inclusion criteria. The average age was 16.6 years (2 months–94 years); 52.4% were male. The most common exposure reason was unintentional (98%), and the majority (92.4%) occurred at the patient’s home. Ingestions (58.3%) and dermal exposures (34.3%) accounted for most cases. Cactus (27.5%), oleander (12.5%), Lantana (5.7%), and Bougainvillea (3.8%) were most commonly involved. Symptoms developed in 47.1% of patients, and were more likely to occur following Datura (66.7%), and Morning Glory or Milkweed (25% each) exposures. Almost 94% of patients were managed onsite (home) and only 5.2% involved evaluation in a health care facility (HCF). Only 37 (0.6%) patients required hospital admission, and 2.9% of cases resulted in more than minimal effects. Exposures resulting in more than minimal clinical effects were predicted by several variables: abnormal vital signs (OR = 35.62), abnormal labs (OR = 14.87), and management at a HCF (OR = 7.37). Hospital admissions were increased for patients already at a HCF (OR = 54.01), abnormal vital signs (OR = 23.28), and intentional exposures (OR = 14.7). Plant exposures reported to our poison control center were typically unintentional ingestions occurring at home. Most patients were managed onsite and few developed significant symptoms. The online version of this article ( https://doi.org/10.1007/s13181-017-0643-3) contains supplementary material, which is available to authorized users. There was no direct grant support for this work.